Cronulla surfer and snowboarding guru Peter ”Coppo” Coppleson rates the left reef straight in front of Lohis (Hudhuranfushi Surf Resort) as liquid gold, and is pretty fond of the deck bar, too! The Perfect Wave’s marketing manager Ben Horvath caught up with “Coppo” the day after he returned home from a week of pumping waves. Pete spent a memorable last week of July at Lohis with a bunch of Cronulla friends and spoke to Ben about it. All photos by Richard Kotch. 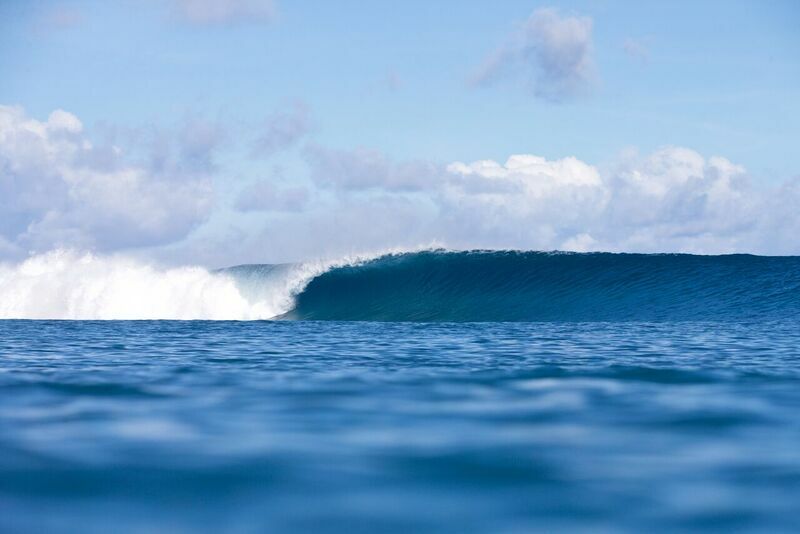 The Perfect Wave (TPW) – How many times have you been to the Maldives now, Coppo? Coppo – This was our third trip. TPW – What keeps drawing you back? Coppo – Apart from the long flight, it’s such an easy trip! 2 planes and a boat. TPW – Have you been on a Maldives boat charter, or stayed elsewhere in the Maldives? Coppo – No, we have just done the Hudhuranfushi Surf Resort. With the restricted numbers allowed to surf on the island, and boats leaving twice a day to the other breaks, to me it’s a no-brainer. Lohis, as good as it gets. Photo Kotch. TPW – You just love those sunset beers on the deck at Lohis, don’t you? Coppo – Nothing better, just sent a message to the boys to meet me there (too bad we are home). TPW – Tell us about your week of waves, so potential first timers can get an idea of what to expect at Hudhuranfushi Surf Resort! Coppo – Started off with a bit of size, 5 to 8 ft. Then slowly dropped to 2 to 3 ft, then popped back up to 3 to 5 ft. 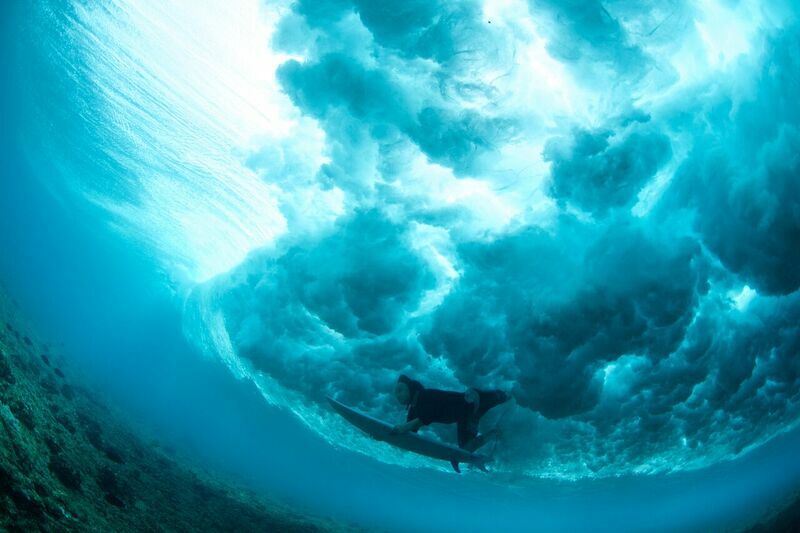 The wave itself is not a throwing barrel, but there is a few high tubes out there – it’s just really fun left. TPW – How is the food and service? Coppo – Food is great! Buffett breakfast, lunch and dinner. Lots to choose from. Have to make a conscious effort not to eat too much. They are also doing a surfers’ BBQ on Fridays up at the Deck, which is pretty cool. Seems to relax everyone out in the waves. The view from the deck. Out there now! Photo Kotch. TPW – What boards did you take? Coppo – This trip I rode a 6”2 JS Monster 6, which went awesome on the first few days – 5 to 8ft. Then rode JS 5”11 swallow and 5“11 DHD DX1 the rest of the trip. TPW – Did you get surf transfers to some of the other nearby waves like Sultans or Cokes, etc? Coppo – Went to Jails on the small day, got a couple of fun rights. We just hung at Lohis this trip. We talked about jumping on the boat every night, but waves were so good out the front we didn’t leave. I have ridden the other waves in past trips, all super fun and have different challenges. Jarred Simpson carving back. Photo Kotch. Clean mid face speed line. Photo Kotch. Jarred setting his line on a bomb. Photo Kotch. Glassy, empty 4ft perfection. Photo Kotch. 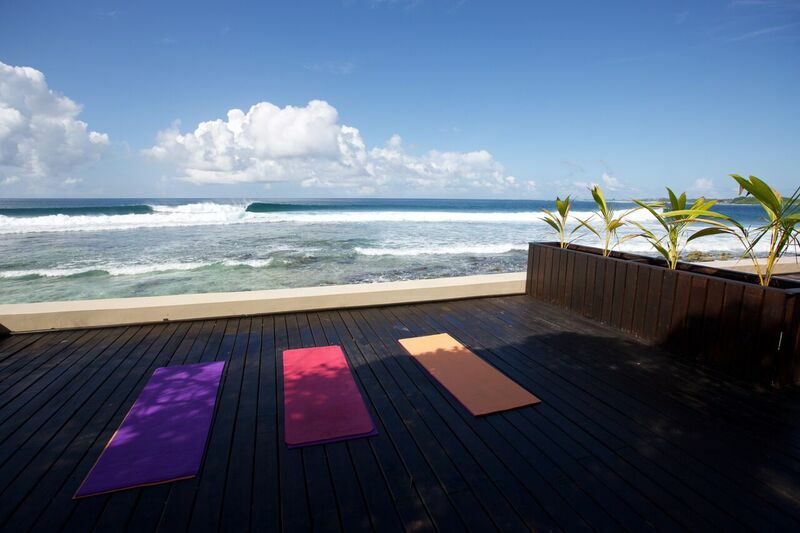 Yoga, then surf. Photo Kotch. Precision bottom turn. Photo Kotch. Coppo about to crack that lip. Photo Kotch. Coppo was a legit snowboarding cover star in the 90’s. Photo Baccon.